An innovative cloud-integrated solution provides backup for servers, desktops and laptops, remote cloud backup, file synchronization and mobile collaboration, all in a single tightly integrated product, delivered at a fraction of the cost of traditional disparate solutions. 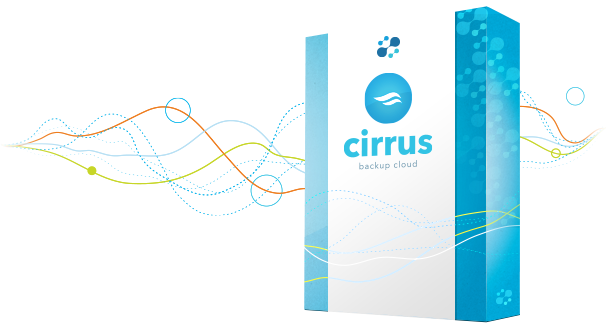 Cirrus Backup Cloud combines small footprint software agents and cloud storage services to deliver a seamless user experience that delivers the flexibility, file sharing and off-site backup capabilities of the cloud. 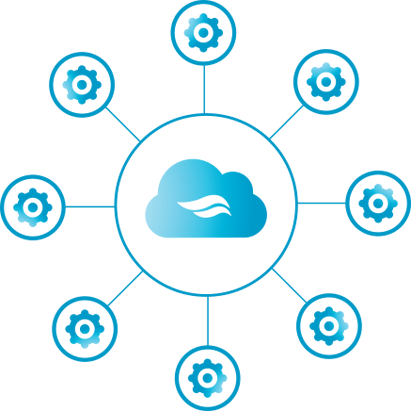 Using advanced de-duplication and compression technologies, Cirrus ensures speedy data transfer to and from the cloud. Consolidate storage, backup and collaboration: Fulfills all your file storage needs in a single solution, making it easier to manage your files, share them and keep them protected. Comprehensive data protection: Protect laptops, desktops and servers at both file- and disk-level (“bare metal”) with a single, easy-to-manage solution. Microsoft Windows, Linux and Mac platforms supported. Fast, tiered recovery: Rapidly restore files or entire disk images from the local appliance, or recover from the cloud, in case of local disaster. No need for on-site IT staff: If your IT is managed by a managed service provider (MSP) or a part-time IT resource, they will be able to handle your storage needs remotely. Reduced Administration Overhead: With a web browser-based user interface that is accessible anywhere, you will not require a system administrator to perform simple operations such as sharing your files or restoring previous file versions from backup. End-to-end security: Cirrus Backup Cloud encrypts all files before they are sent to the cloud using strong AES 256-bit encryption, and you can choose a personal password known only to you to access those files. Create and manage group-based templates, determine storage quota, and manage backup procedures. Easily integrate with Active Directory and LDAP for user authentication, as well as third party billing and monitoring systems. Cirrus Backup Cloud Portal supports multi-tier management, making it possible to delegate aspects of service delivery to departments using virtual instances of the Cirrus Backup Cloud Portal that act as software blades sharing the same underlying infrastructure settings, but with complete isolation. Cirrus Backup Cloud Portal allows enterprise departments or individual businesses to manage their own storage services and provisioning. Includes the option to connect each Team Portal to a customer-defined authentication system (AD/LDAP) and collaborate in team workspaces.